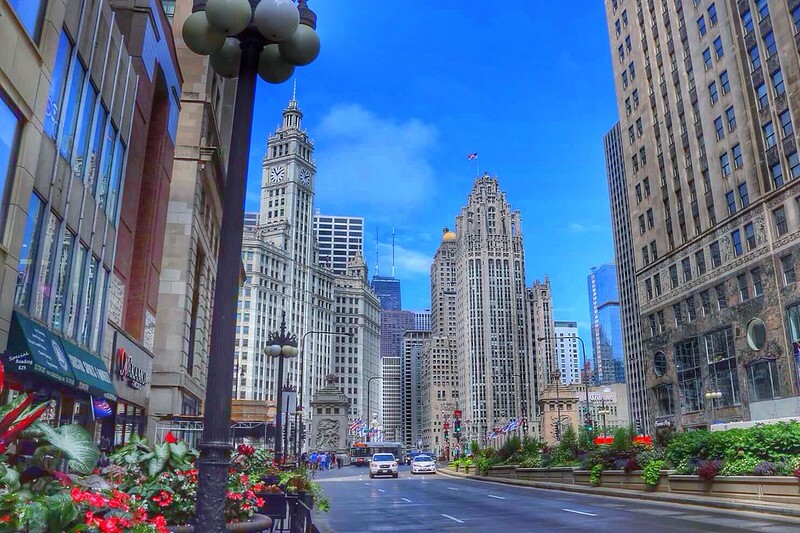 The Magnificent Mile, sometimes referred to as The Mag Mile, is a prestigious section of Chicago’s Michigan Avenue, running from the Chicago River to Oak Street in the Near North Side. The district is located adjacent to downtown, and one block east of Rush Street, which is known for its nightlife. The Magnificent Mile serves as the main thoroughfare between Chicago’s Loop business district and its Gold Coast. It also serves as the western boundary of the Streeterville neighborhood. Image published by alyssaBLACK. on 2014-02-09 20:57:25 and used under Creative Commons license.